I just wanted to let you know how much I absolutely love the mural. Although I anticipated that it would add beauty and a much needed glimpse of nature onto our campus, I never could have imagined what a huge impact this has on Springer. I have seen countless children, parents and teachers walk by in awe, totally captivated. Not only does it make our campus a brighter, more beautiful place to learn and play, it reminds our entire community of the tremendous importance of art. This is a gift beyond measure especially in our tech driven society. Once again, you have exceeded my (already high) expectations! You are so fun, inspiring and professional to work with and your projects in our kinder yard and now this mural have been my most satisfying collaborations on PTA. I’m sure you have more work than you know what to do with, but feel free to send anyone my way for a reference. 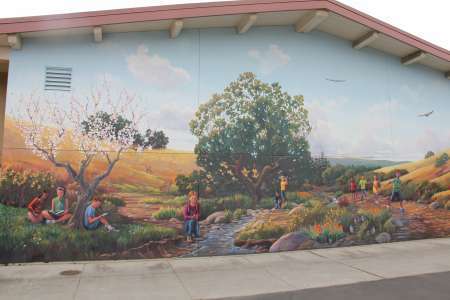 View more school murals Morgan has painted for local school districts and PTA organizations.